Idyllic scenery, a secluded beach on your doorstep, and your own offshore mooring may have once meant jet setting off to Richard Branson’s private island. But not anymore. 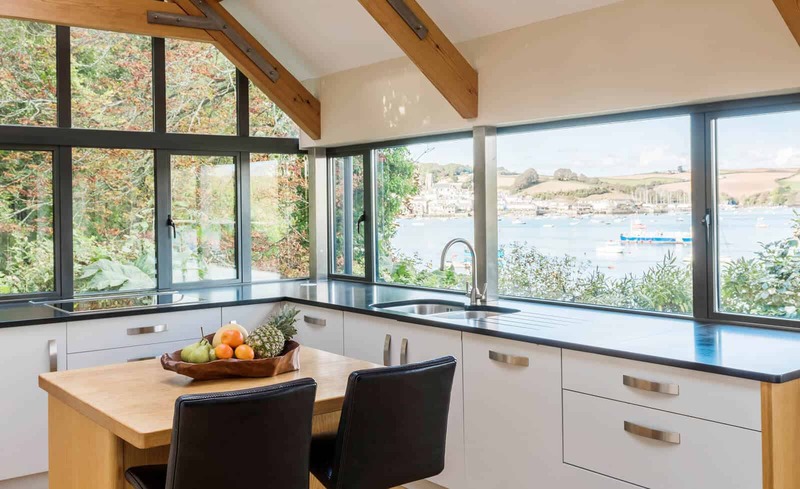 Harbour Watch is a beautiful piece of architecture based in Devon, with panoramic views of the Salcombe estuary. 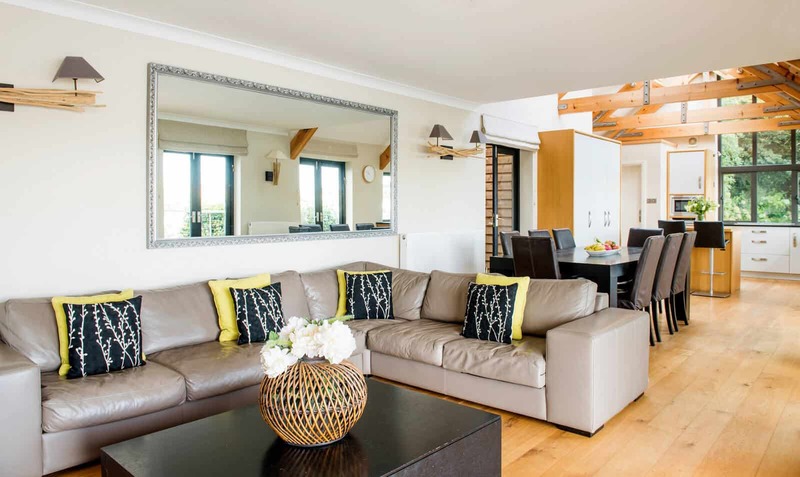 As featured in The Sunday Times ‘Top 50 Holiday Homes’ and ITV’s Holiday Home Sweet Home, Harbour Watch is a prestigious holiday home located in East Portlemouth which is over the other side of the estuary from Salcombe. 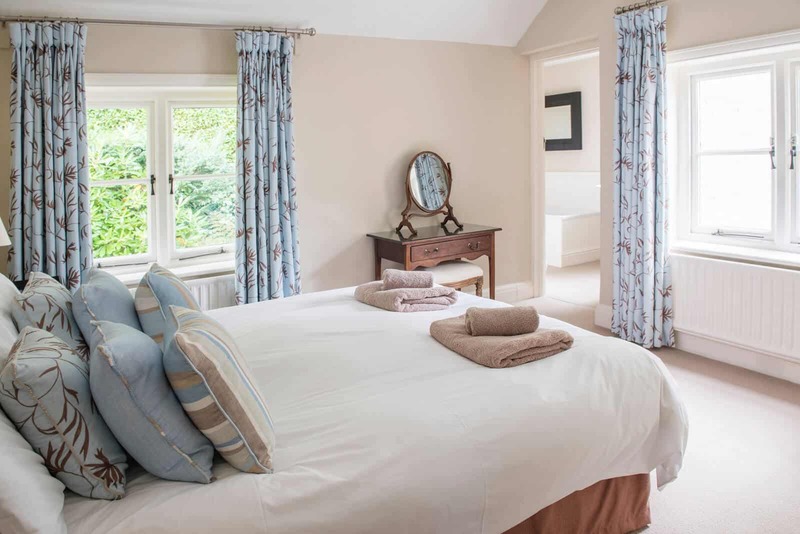 The epitome of style, comfort and luxury, this property is perfect for families and groups. 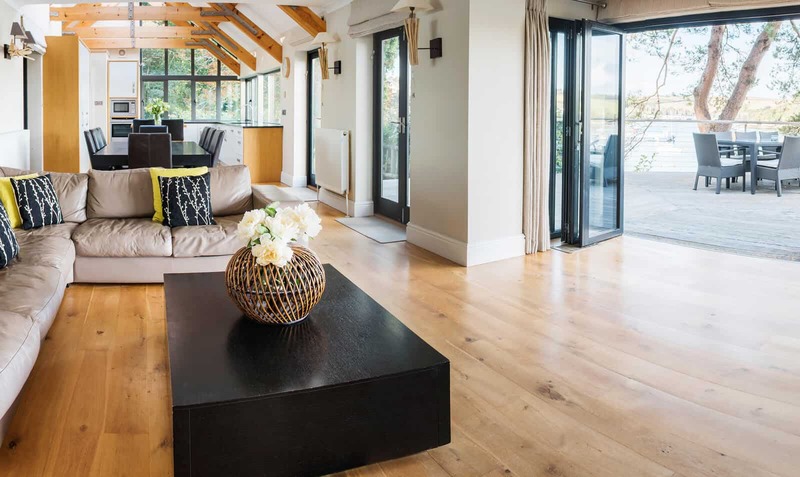 The house is elevated above the estuary, enabling guests to take in the exquisite scenery of the beautiful calm waters, Devonshire countryside and the charming town of Salcombe. 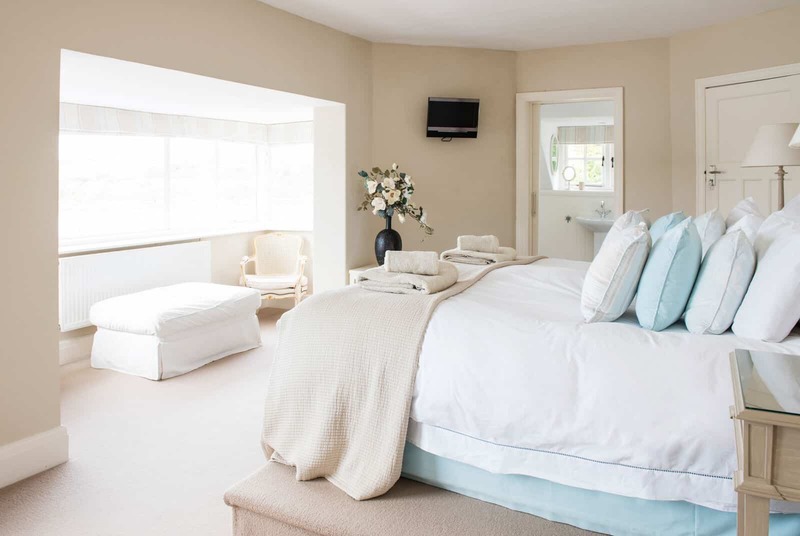 The property boasts complete privacy – perfect for a weekend getaway or a longer stay on the coast. 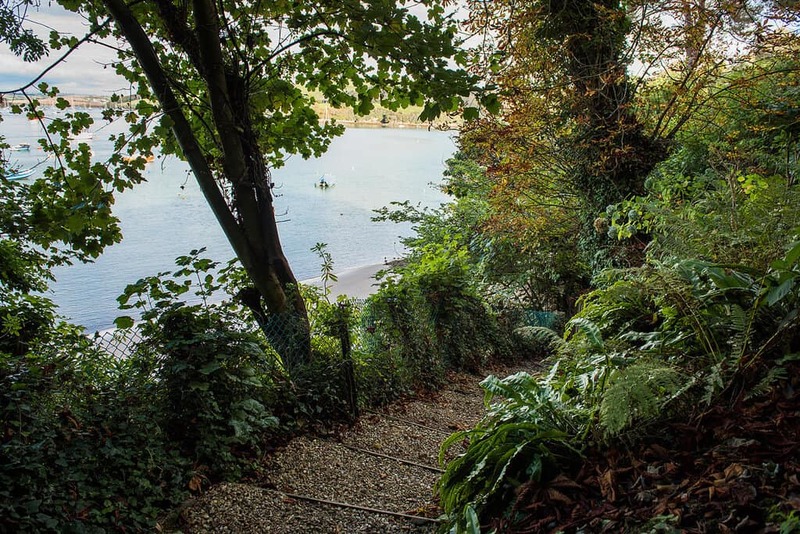 Secret pathways twist round the house, winding through the undergrowth and down the steps to your perfectly located beach. Imagine watching the sunset from the golden sand and listening to the waves gently lapping over the shore – all in total peace and quiet. 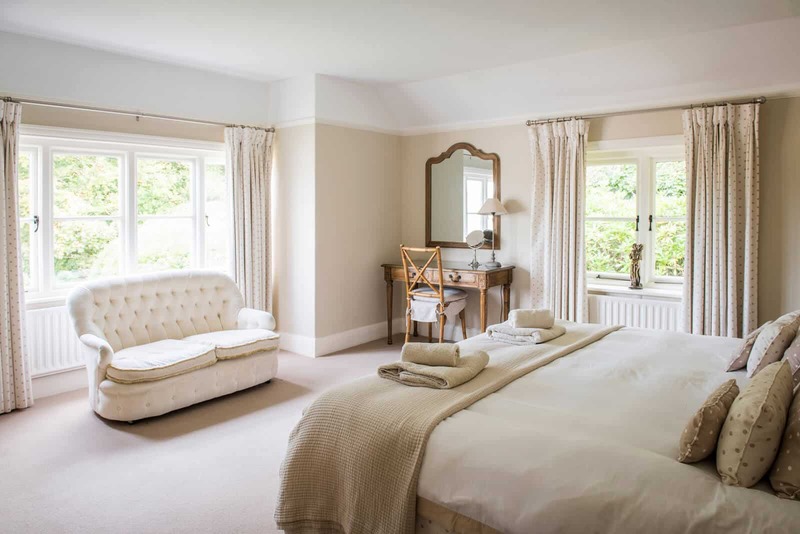 The huge glass window in the living room enables guests to enjoy the views from the home. 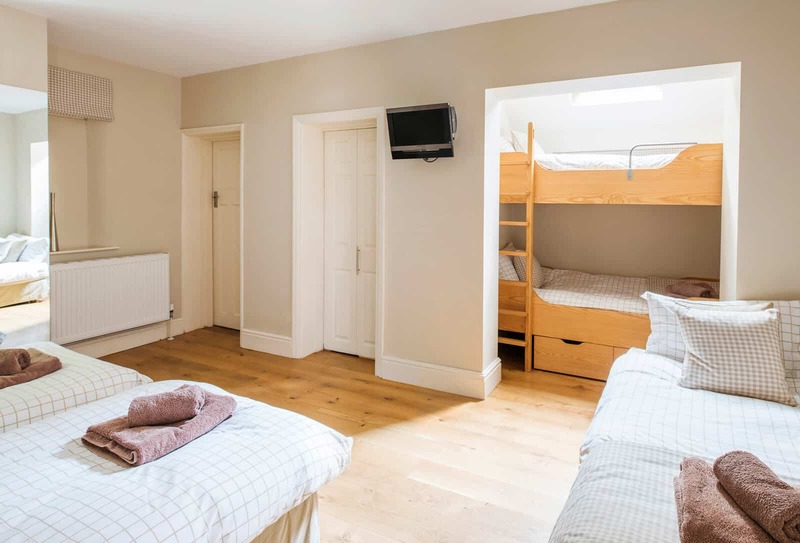 All designed with comfort in mind, the Harbour Watch has a TV room, 6-bed bunk room (downstairs) with its own en suite shower/wet room, 2 double bedrooms (upstairs), a room that can be set-up as a twin or double (upstairs) and 3 additional bathrooms (upstairs) comprising of 2 en suites and a family bathroom. 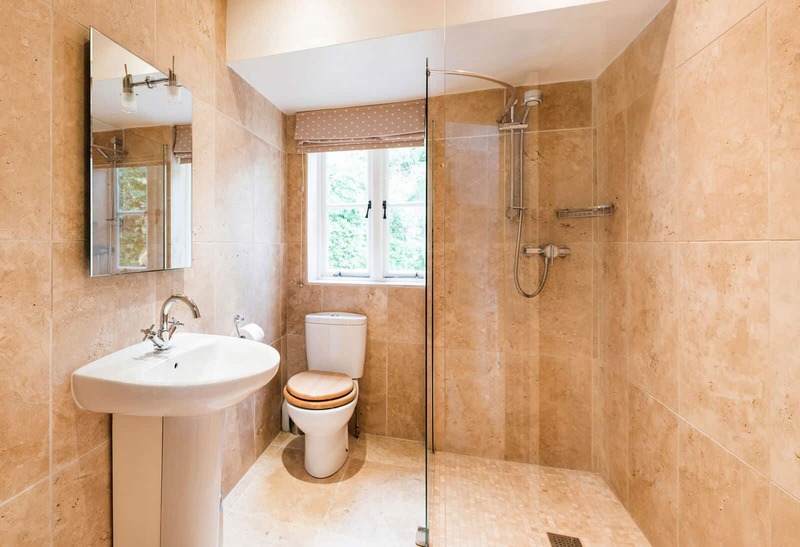 There is also a cloakroom off the kitchen area. 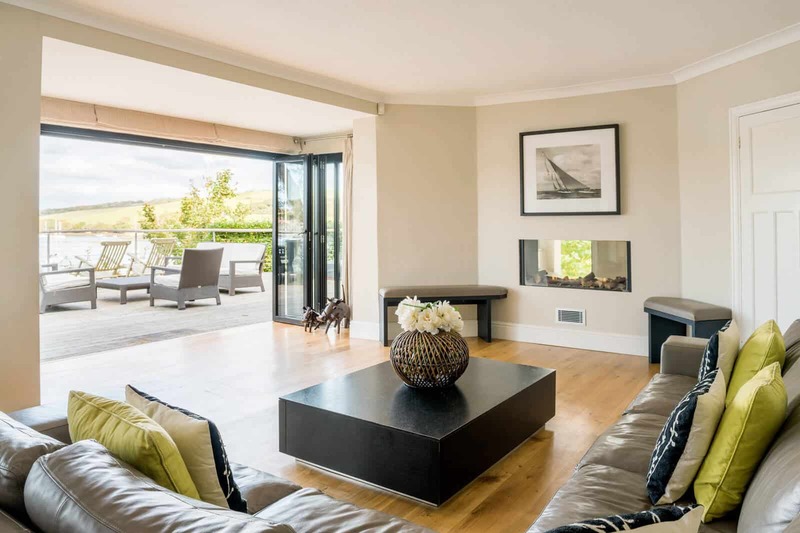 In addition, the holiday home features an epic decking area with plenty of seating for al fresco dining and two gas barbecues so that you can make the most of those warm sunny days. 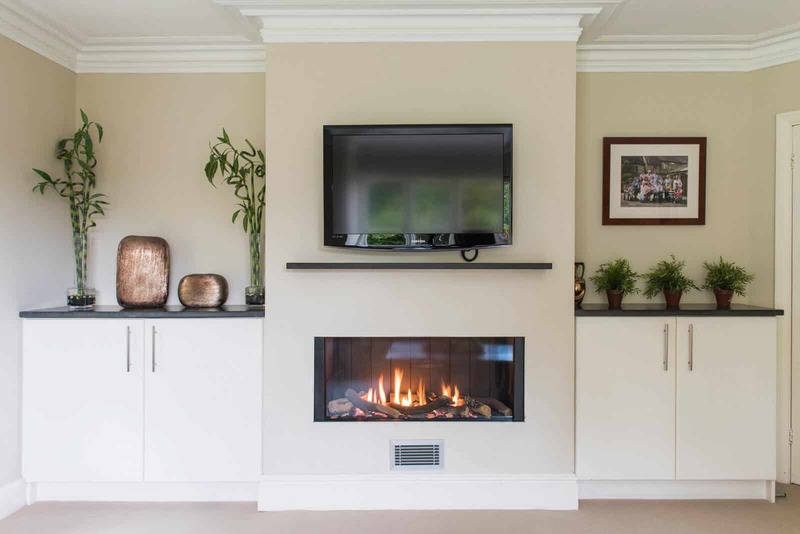 Although seclusion and serenity are the name of the game at Harbour Watch, you are still a stone’s throw away from local amenities for your convenience. 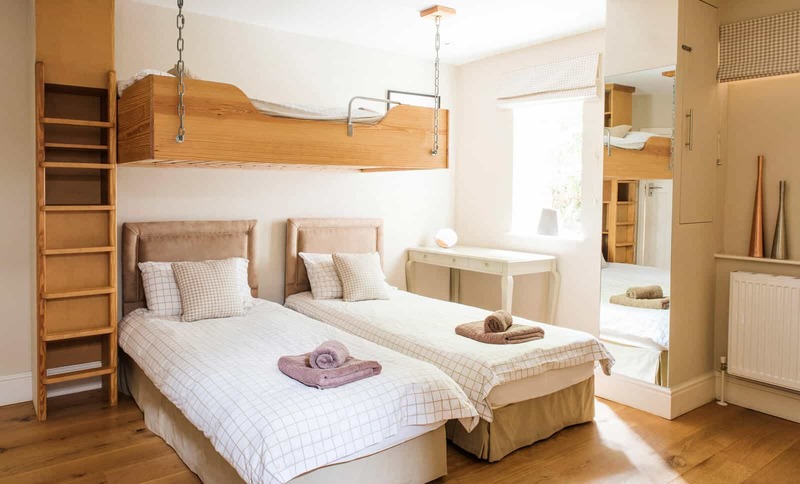 The holiday home can be rented on a self-catered basis; however, Salcombe Finest also provide a Salcombe Luxe package, which includes a daily maid service and complimentary concierge. 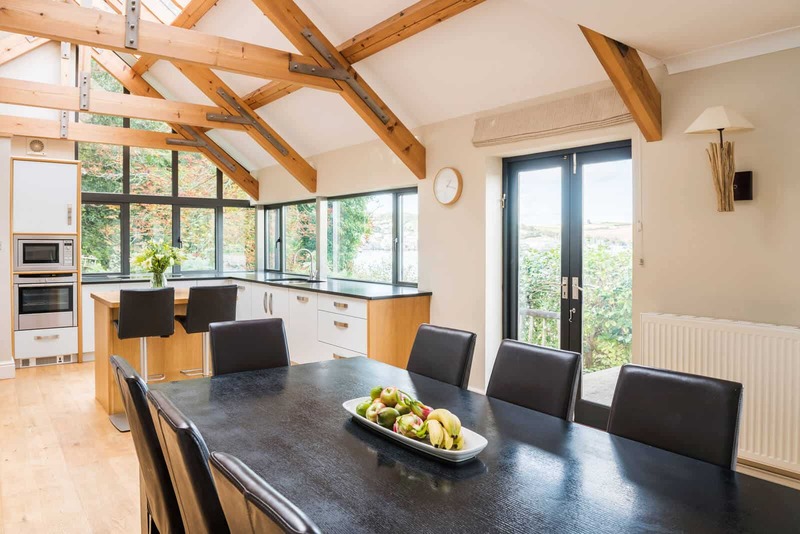 Get in touch today to find out more about our latest Salcombe holiday homes. Dogs allowed at the discretion of the owner. Smoking not allowed inside. 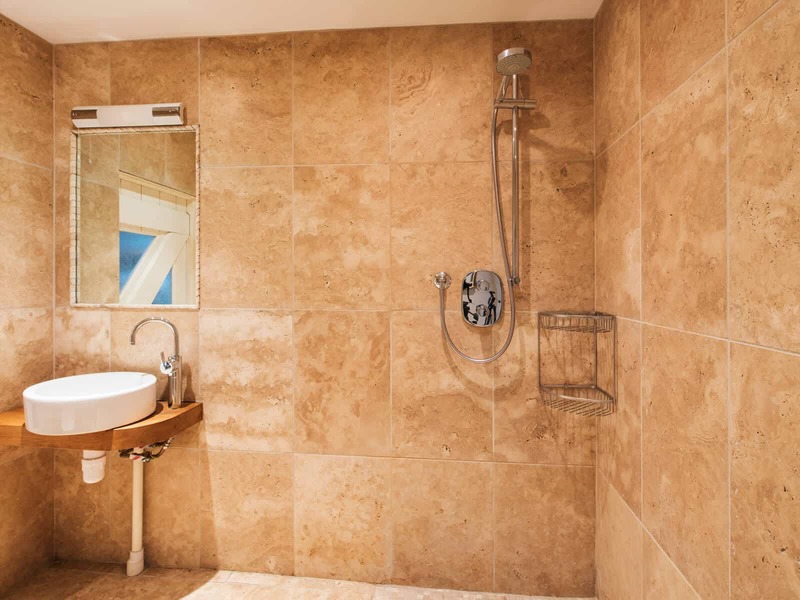 Use of the Jacuzzi is an extra £250 per booking, and needs to be pre-arranged through Salcombe Finest. 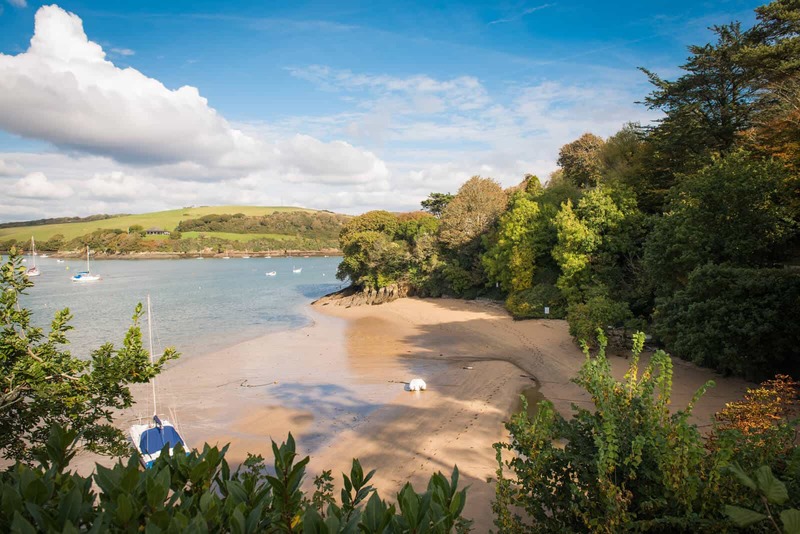 Please note that this property is situated across the estuary from Salcombe. 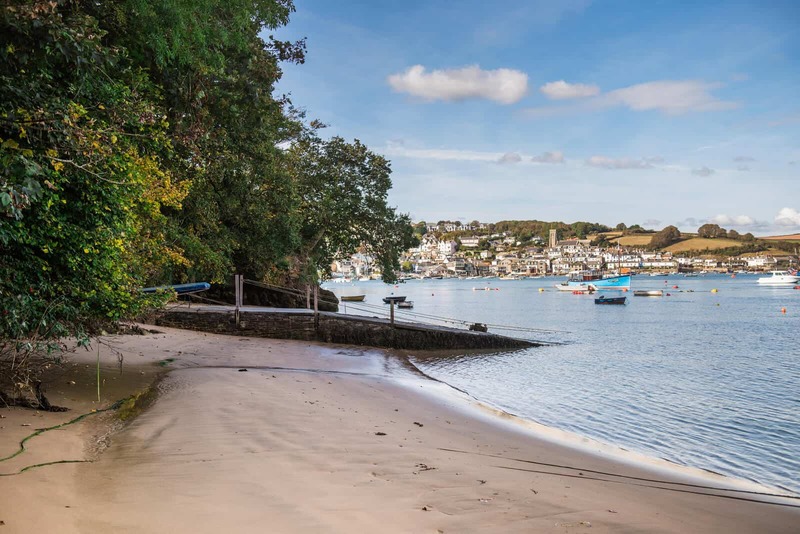 Salcombe town can be accessed by ferry (ferry steps are a 5 min walk away) during the day and at night the water taxis run during the summer school holidays. Please check with the Salcombe Harbour Authority for more information. Harbour Watch comes with a running mooring – please note that you will need to pay harbour dues. Please check with the Salcombe Harbour Authority for more information. Please note that only the beach at the bottom of the pathway from the house belongs to Harbour Watch, the other beaches shown in the photographs do not. Their owners are happy for them to be enjoyed in strict accordance with the East Portlemouth Foreshore Association rules (displayed on the beach signs). Harbour Watch is situated down a very narrow road with tight bends and limited passing places. There is parking for up to 3 cars in the drive and space for a 4th car on the bank. Taking the first steps onto your own private beach is just the beginning of the luxury that Harbour Watch has to offer, not the conclusion. 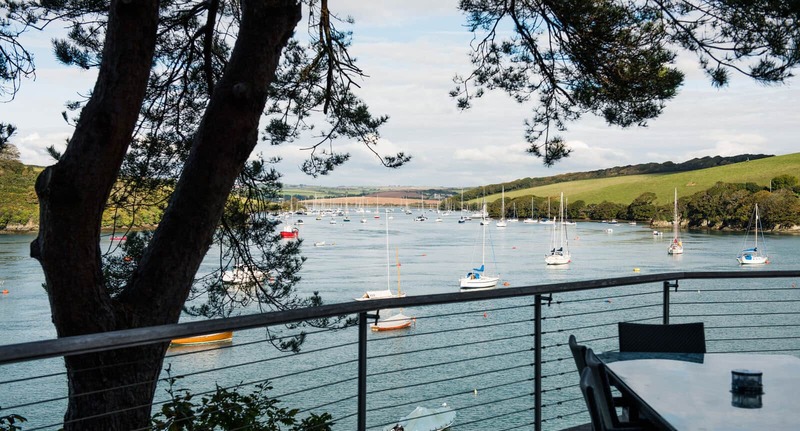 Awe inspiring views of the Salcombe estuary and the decadent interiors of Harbour Watch present you with the perfect opportunity to sample our VIP Luxe Experience. 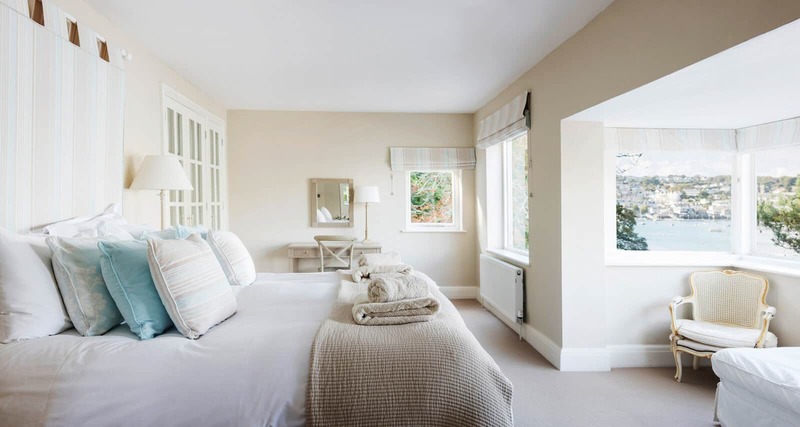 Witness first hand as Salcombe Finest lives up to its prestige when your holiday itinerary is pre-organised by a dedicates concierge and a team of private chefs and maids on hand to guarantee your stay on the Devonshire coast is a truly memorable occasion. The position was superb with amazing views. We loved the large terrace with garden furniture where we sat and enjoyed breakfast and evening meals/ barbecues. 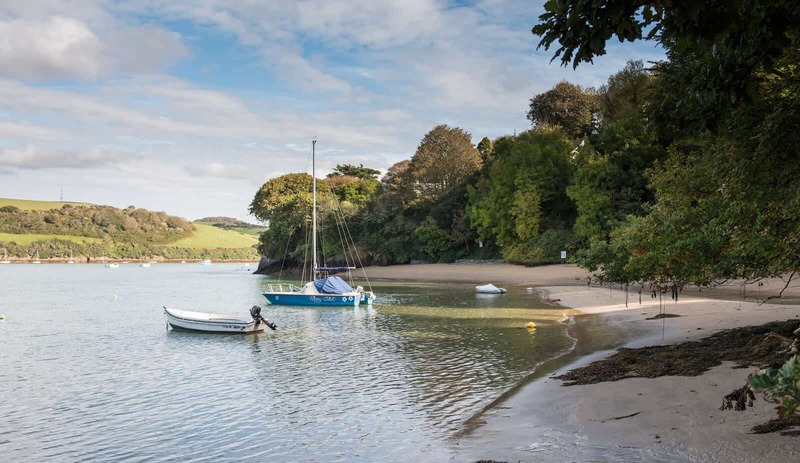 Offshore mooring and a private beach are just a handful of reasons to choose Harbour Watch as your idyllic home away from home. 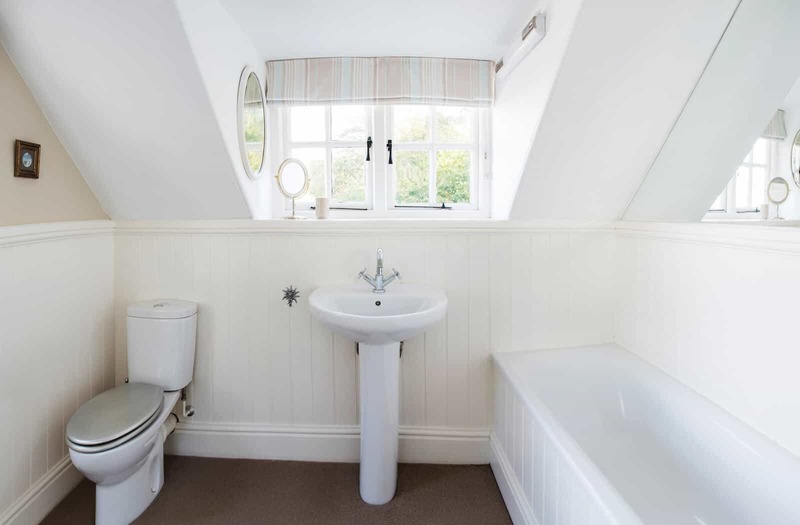 Take the plunge today by booking online or by contacting our dedicated team at Salcombe Finest who are always on hand to answer any queries regarding Harbour Watch. Contact Us if you have any specific requirements. For information on 2020, please select your preferred dates and send us a message.